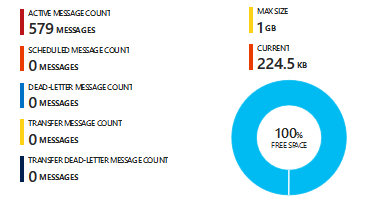 TL;DR - Azure Service Bus metrics in Azure Monitor have a lifetime. If your entity goes idle, Azure Monitor will start showing '0' as a value after 2 hours. Promitor has been a side project that I've been working on for a while which allows you to scrape Azure Monitor metrics and expose them to Prometheus - More on this later. Basically it is using the Azure Monitor REST APIs to query for a metric and a given Azure resources, currently only supporting Azure Service Bus queues. That's odd - Why does the Azure Portal show this then? Where did my messages go? Good news - My messages are right where I left them! When I checked with the team they mentioned that this behavior is actually by design. 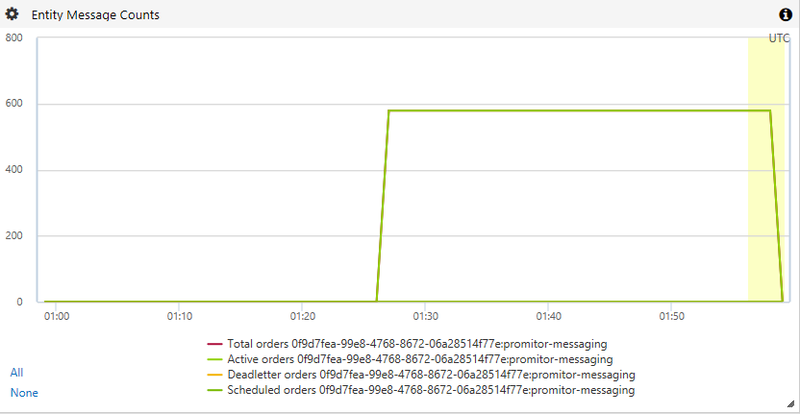 Azure Service Bus will stop sending metrics to Azure Monitor when your entity has been idle for more than 2 hours. A very tricky thing to have but something that you need to be aware of! In my case this was the case as I ony created a queue with messages so that I can get the metric of the queue, not interact with it. The difference with the Azure Portal metric is that this one directly checks the queue itself and not uses Azure Monitor.